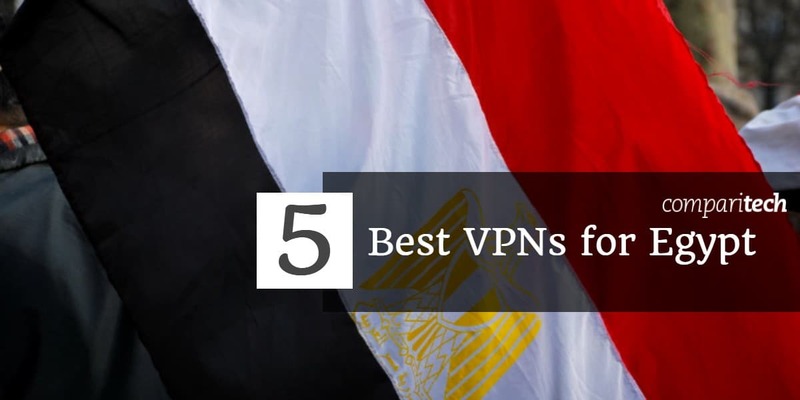 Now, more than ever, it’s important for residents and travelers in Egypt to use a VPN. Short for Virtual Private Network, a VPN encrypts a device’s internet traffic and routes it through an intermediary server in a location of the user’s choosing. By using an Egypt VPN, users can unblock websites, social media, and apps including Skype, Facebook Messenger, FaceTime, and WhatsApp. VPNs also protect users’ privacy. Internet service providers and government snoopers cannot decipher the contents of the encrypted web traffic nor its destination. IMPORTANT: VPNs are legal in Egypt, but many of their servers and websites are blocked. We recommend you sign up and download the VPN of your choice before arriving in Egypt if possible. IPVanish owns, rather than rents, all of the servers on its global VPN network, which means customers are ensured a sturdy connection for VoIP calls and streaming. By default, all connections use the OpenVPN protocol, uncrackable military-grade encryption, and perfect forward secrecy. The company keeps zero logs. Customers can connect up to five simultaneous devices on a single account. The apps include an optional obfuscation feature that disguises your VPN connection to look like normal, unencrypted internet traffic. Apps are available for Windows, MacOS, iOS, and Android. IPVanish is also a favorite among Kodi users due to its remote control-friendly design. BEST VPN FOR EGYPT:IPVanish is our Top Choice. Hard to beat for unblocking restricted sites and services in Egypt. Own network of super-fast servers and score top marks for privacy and security. A favorite with Kodi users and torrenters. 7-day money back guarantee. NordVPN makes privacy its highest priority. The Panama-based provider not only offers the speed and security of its top-tier brethren, it also packs several features specialized for privacy and anonymity. These include Tor over VPN and double VPN connections. NordVPN is a fantastic value, allowing up to six connections at the same time. It can unblock US Netflix and Hulu both in a browser and on their respective mobile apps. The company keeps zero logs on its users. NordVPN’s apps boast an optional obfuscation feature that disguises your VPN connection to look like normal, unencrypted internet traffic. BEST BUDGET VPN:NordVPN is great value. Solid security and privacy and works reliably in Egypt. Use up to 6 devices at once with great connection speeds. 30-day money back guarantee. ExpressVPN makes intuitive, easy-to-use apps. But don’t let the simple design fool you. The provider maintains the highest standards when it comes to encryption and authentication. ExpressVPN keeps no traffic logs and is based in the British Virgin Islands, which has no mandatory data retention laws. A single subscription nets you three simultaneous connections. ExpressVPN is one of very few VPNs consistently capable of unblocking US Netflix, Hulu, and other streaming content from abroad. ExpressVPN uses obfuscation to bypass Egyptian ISP’s VPN detection systems. Apps are available for Windows, MacOS, Android, iOS, Linux (command line), and certain wifi routers. GOOD ALL-ROUNDER:ExpressVPN holds its own. A fast and reliable choice which confidently unblocks most restricted sites and content. Great privacy features and keeps no logs. Pricey but you get what you pay for. Try it risk-free with the 30-day money back guarantee. VyprVPN boasts gold-standard encryption using the OpenVPN protocol, but users can also avail of its proprietary Chameleon protocol for added protection and unblocking capability. VyprVPN’s parent company, Golden Frog, owns all of its own server infrastructure around the world and even writes the software used on those servers itself. That gives the company maximum control over privacy and also means it can promise top-notch speeds around the clock. We’ve also successfully unblocked US Netflix and other streaming sources from abroad using VyprVPN. UNLIMITED DATA USAGE:VyprVPN is user friendly. Good speeds and uptime as all servers are owned by VyprVPN. Great privacy and security. Not the cheapest option. 30-day money-back guarantee. PrivateVPN is a young up-and-coming VPN making a big splash despite it’s relatively small server network. Support staff confirmed PrivateVPN does work in Egypt out of the box for most users. In some cases, however, subscribers may need to configure an additional proxy using Shadowsocks, a censorship circumvention tool often used in China. PrivateVPN’s live chat support can guide you through the process or even remotely take control of your PC or Macbook to set it up on your behalf (with your permission, of course). PrivateVPN boasts top-notch encryption, extremely fast download speeds, and the ability to unblock pretty much anything you can throw at it. GREAT FOR SPEED:PrivateVPN is consistently reliable. Good for general purpose use and Torrenting. Speeds were surprisingly good at this end of the market. Could do with having more servers and lacks 24/7 support. 30-day money back guarantee. All of the VPNs above require a monthly subscription (although some offer a money-back guarantee), but we recommend them for a reason. They are obligated to protect your privacy and provide the highest level of service possible. Doing otherwise is not in the best business interests. Free VPNs often do not have your best interests at heart. They often use obsolete encryption suites, or even worse, no encryption at all. Some even inject advertisements or cookies into your web browser, making even less private than when you started off. The handful of free VPNs that don’t engage in these shady practices typically have data caps or bandwidth limits, making them unsuitable for VoIP calling and video streaming. For these reasons, we strongly advice you go with a paid VPN service. Once the connection is established, just open the website or app as you normally would. It should now be unblocked! Why use a VPN in Egypt? In recent months, the Egyption government has ordered ISPs to block hundreds of blogs and news sites. About a dozen people have been arrested this year for publishing fake news, many of whom are journalists and dissidents. A VPN can bypass these blocks and help protect your online identity. There are no laws in Egypt prohibiting the use of VPNs as of this time. In July 2018, Egypt’s parliament passed a law giving the Egyptian government the power to block social media accounts and punish journalist who publish fake news, according to Reuters. Any blog or social media account with more than 5,000 followers can be prosecuted for publishing fake news or incitement to break the law. Furthermore, the bill prohibits anyone from making a new website without a license from the Supreme Council. The Council can block or suspend existing websites and impose fines on editors. An Egypt VPN can bypass any such ban and allow you to access blocked websites. If you’re a journalist or publisher, a VPN can mask your real IP address to make it look as though you’re in another country. Read more in our guide to anonymous blogging. In August 2017, Egypt began blocking voice and video calls made over VoIP and messaging apps including Skype, Facebook Messenger, FaceTime, and WhatsApp, according to Quartz. The government effectively shut down access to those apps on the heels of a terrorist that killed 47 people in two churches. Egypt’s emergency law allows authorities to monitor and shutter online communication and media with no judicial oversight. Text messages over these apps still works, according to reports, but there’s no telling how long the block on voice and video will last. Some critics speculate that national security is not the only motivation; Egypt’s telcos have complained to regulators about over-the-top calling apps that eat into their profits by using the internet in lieu of their legacy phone networks. A VPN will unblock online voice and video calls. Officials blocked the encrypted voice-calling feature used by Signal, a secure messaging and VoIP app.